Sorry for the delay – there have been some miscommunications. Enjoy! This is my first time translating a novel so please spare me the criticisms 🙂 if you find any of my translations confusing, I would be happy to clarify it to you! Li Wei Yang must pass through the remote back garden to get to Nan Yuan. She ordered all her yatous and mumus to hide in an obscure corner. She only bought along Bai Zhi, who held up her umbrella as they walked towards the garden. In the pouring rain, even as Bai Zhi attempted to hold up the umbrella, one side of Li Wei Yang’s shoulders was still drenched. Gao Jin hid under the banana leaves with his xiaosi behind him, holding up his umbrella. “Shaoye, San xiaojie is coming!” his xiaosi alerted him. Gao Jin’s pair of eyes has already started to ogle Li Wei Yang closely. She was wearing a jacket-skirt made with yunjin; on it were embroideries of magpies on a plum tree. Below was a skirt of the same color made with hongjin. As she continued to walk over, she looked delicate and graceful. Gao Jin stared at her from head to toes and as he watched her, he became even more excited. He quietly celebrated in joy; after today, she will be his! Her voice, like icy bells knocking loudly against the wind, makes Gao Jin feel a sudden urge to have her and couldn’t restraint himself any longer. He jumped out hoping to fully grasp ahold of her. The moment he jumped out, Gao Jin’s hands began to feel numb and painful. Li Wei Yang raised her brows and she ruthlessly kicked him at the most important part of his lower body. At the same time that her feet rested on his lower body, Gao Jin’s hands were about to snap. After he let out a scream, his whole body fell back. What is going on? Everyone was confused. After witnessing how San xiaojie handled Hua Mei, all the servants began to fear her so who would dare not to follow her orders? Gao Jin screamed and pleaded for his life, and cursed at the servants but he was held down by the yatous and mumus as they continued to beat him soundly since they were afraid San xiaojie might think they didn’t put enough efforts. Li Wei Yang looked towards a banana tree not too far away and to her surprise, saw the silhouette of a person disappeared. Gao Jin was beaten for nearly half an hour until everyone had no more strength left and stopped their beating. The wastrel in the cloth bag who wanted to assault Wei Yang has already been beaten on the brink of death. Four mumus threw the almost beaten-to-death Gao Jin over the walls. Li Zhangle lowered her eyes, veiling the coldness in her eyes. Eventually, something will happen, but to them, it will be good news. She wanted to say what trouble has he gotten himself in this time but thought it was inappropriate to say so she rephrased it. Li Zhangle lightly lifted her lips, this scene was also part of their plan. After Biaoge succeeds, he would send xiaosi over to pass on the news and say Xiaoye accidentally mistaken San Xiaojie as a maid so he claimed her. At that time, once muqin finds out, even though she would be angry, she would still cover up for him. This way, they can get rid of Li Wei Yang, who has been a thorn in their eyes. Qiuzi faltered, speaking not a single word. Da furen coldly spoke: “He fancied Li Wei Yang again? Foolish! Absolutely foolish!” At this moment, she heard the sound of glass breaking from aside. It was Li Zhangle who accidently dropped her teacup, spilling tea all over the ground. Qiuzi wanted to say more but was driven out by others. 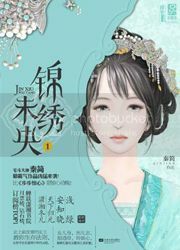 Li Zhangle’s beautiful face suddenly turned pale white as she was astounded by her cousin’s failure and more importantly, she didn’t know how to face her muqin’s interrogation. “You are very foolish!” Da furen was no longer calm, her brows rose, and her harmonious countenance was fuming with rage. am i possibly first?! lol, doesn’t matter! ayyy! wei yang handled it awesome! she kicked him in that part too, great, great! and he got beaten up? awesome! Just why? What are they creating their own war when they aren’t even soldiers? Do they like to busy themselves that much? I get mentally exhausted just reading their plots against each other. Although it also feels very refreshing when the MC starts screwing them up. Thanks for the chapter. 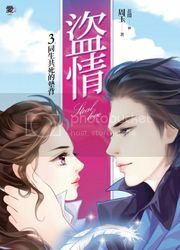 hehe~ I missed this novel…went to watch the drama series but I guess I love this novel way better. Finally a new chapter.. thanks a lot for the chapter.. I thought this great novel had been dropped though i check it almost everyday.. Thank you! 😍 Hoping to read more.. Thanks for translating this chapter! It’s good to see you back as well. Even if that pair of hypocrite would send trouble after trouble, I believe Wei Yang will still come out on top. The chapter filled with Wei Yang’s revenge will be wonderful! I thought i should give up on new chapter s…Thanks for continuing to TL the novel. I can’t wait until that mother dies~ the song that goes die die die is ringing. Got through the first ep3 (or was it 5?) and I say I like the novel more. WY who should be vicious and intelligent had become a stupid who sometimes knows what to do Princess. Her rival Zhang le who should be like a white Lotus who’s real personally shall only be seen when alone, had able to show it. Yay, you’re back. Thank you very much for the chapter! Thank you so much for the chapter, really missed this story!! ^.^ hehe Weiyang taught him, love how she gives back exactly what she’s dished. Can’t wait to see how she continues to handle life in the fu. This is way better than the drama; that one was honestly not good plot-wise, but I believe the novel should be much better based on these first 30 chapters. I honestly loved the drama, even the romance and Wei Yang’s character. But I really like this novel a lot, too. They are both good in their own way if you’re not trying to compare them to each other. I honestly feel like their two completely different things but love them both. Thanks for the chapter! I really missed this story. Oh you’re alive now, thanks for posting! Thanks for continuing the translation! This chapter was great! I love it when baddies get just desserts. Thank you for updating. Who knows how long I have been waiting for this? Chaierie, thanks for picking up this project. I had been waiting for this forever. And you have translated it really well.Can’t tell it’s your first time translating. Please keep up the good work. Thank you so much for the translation! It’s such a great feeling to come back from an exhausted trip to an update of my favorite novel. I did watch the tv series and it was a big disappointed. The plot was so cliche and it couldn’t hold a candle to the novel at all. How I wish they would at least maintain Weiyoung’s cunning personality but they instead made her into a wimp. Urgh! I still think Guman got it best when it comes to tv adaptation. Her novels were well interpreted and portrayed – both Boss&Me and Wei Wei.